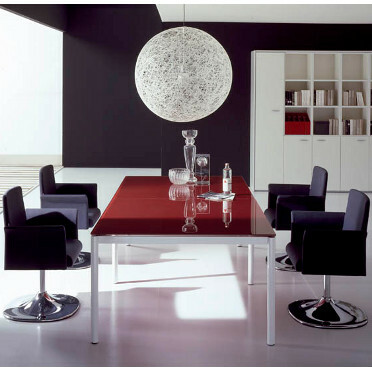 Are you looking for luxury Italian office furniture for your office or place of business? Then you have come to the right place. Welcome to Tag Office where we provide high-quality products that fit a luxury aesthetic. We are delighted to be able to say that very few companies stock the exciting range of furniture in our catalogue that is sure to help transform your office into an environment that is comfortable and styled to stun. Here at Tag Office, we work with all our clients to deliver an exceptional, personalised service, making sure that all their needs and requirements are met when providing their office property with a luxury flair. We have years of experience and knowledge in fine, bespoke Italian furniture and know exactly what your office needs to create a unique, modern and sophisticated aesthetic. When purchasing luxury office furniture from our company, we are able to provide a seamless account management from start to finish. Dealing with one point of contact throughout the transaction you’ll find that purchasing the right furniture for your office has never been easier. Choose from a massive range of furniture in our catalogue to find the exact items that you need for your office. Give your office a continental style with our range of Italian bench and cluster desks. These are perfect for keeping an office staff close together and working as a team. As well as this, they can be excellent space savers while still providing an area of work for each member of your team. The beautiful, minimalistic design of the desks that we provide will help give your office a contemporary feel and provide an aesthetic that makes your business look wonderfully decorated. You can choose from our range of Italian cluster desks or benches depending on the individual layout of your business office. As well as this, we are delighted to be able to say that many of our cluster and bench desks come with brilliant, added extras such as pod storage spaces. 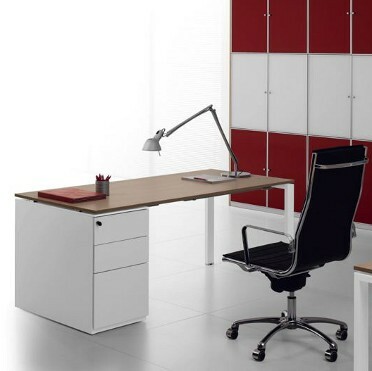 If you’re looking to kit out your work space with beautiful Italian office furniture, this is the perfect place to start. Regardless of your style, you will be able to find cluster or bench desks that fits perfectly into your office environment. We have a range of different styles and shades for you to choose from at prices that make adding luxury to your office completely affordable. If you are eager to impress clients you definitely need to check out our range of Italian boardroom furniture and meeting tables. Elegant, bold and beautiful, the Italian boardroom furniture that we provide is the perfect way to immediately impress a new potential client. Our meeting tables come in a variety of different shapes, styles and sizes regardless of your personal choice. You can choose a small circular Italian meeting table for the centre of your office or perhaps choose a more elegant glass table with curved legs. Don’t take our word for it, check out our full range for yourself and discover a whole new way to furnish your office. 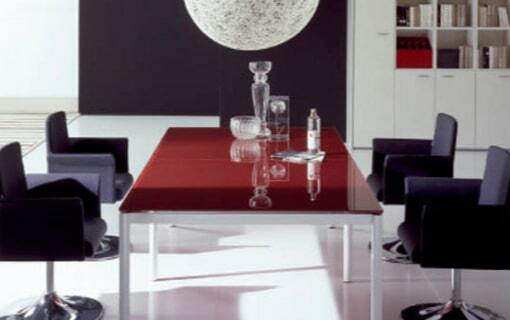 From effortlessly chic to fabulously futuristic, we have Italian boardroom furniture for every type of office. We know how important the design of your office can be when meeting with a client. 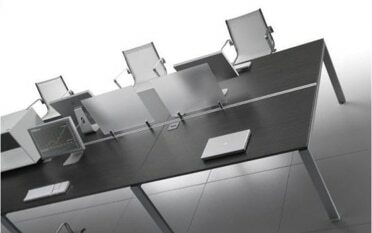 With the right Italian boardroom furniture from Tag Office, your clients will never be disappointed. You can choose from a wide variety of styles and shades from a light oak finish to a gorgeous dark hardwood or even a frosted glass surface. If you’re not sure which Italian boardroom furniture will suit your office, our fully personalised service can help with expert consultants ready to provide their professional opinion. 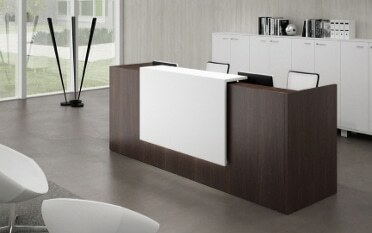 A top executive needs a top executive desk for the perfect office environment. Here at Tag Office, we know how crucial the right office layout can be for productivity. You need a desk that is styled to impress, has an excellent storage system and provides a great level of comfort for serious amounts of work. You’ll find it here with gorgeous designs built to benefit you and dazzle clients. 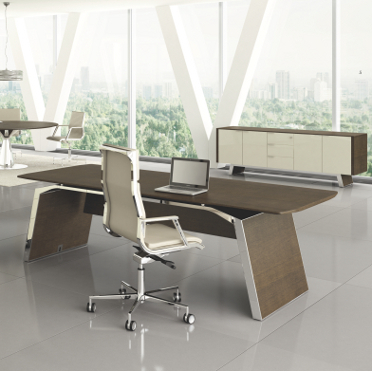 Take a look at the smooth finish of our high-quality Italian executive desks that you won’t be able to resist. Like all our products, they come in a wide range of different finishes, ensuring that you’ll be able to find one perfectly suited for your office. With different sizes and shapes available they can fit wonderfully into your office space whether you are looking to use it as a centrepiece attraction or a space saver. With luxurious designs, you will feel completely at home sitting behind one of our most sought-after Italian executive desks. From an Arch – Italian Design to a Capri – Stylish Italian Slab ended desk these are perfect for the business owner, executive or manager looking for the perfect place to complete a long day of work. Do take a look at our selection of glass tables that have a delicate decor that will look absolutely stunning under any lighting. 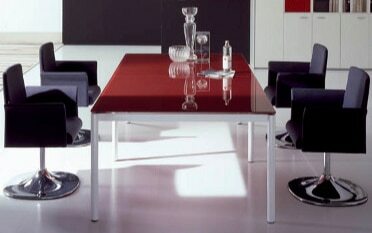 These tables quite simply glisten giving your office a wonderfully unique aesthetic. With the right executive chair, these tables can provide the ultimate level of comfort and luxury that you need in your business. No one wants an office that is cramped and cluttered with files, items, equipment and accessories. If you choose from our selection of Italian office storage, cupboards pedestals and wall storage options you won’t have this issue. Instead, you can store your products and files in a way that fits into a high-end office environment. 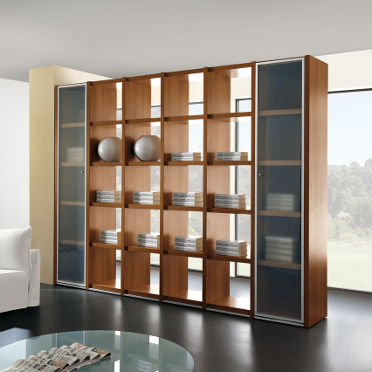 At Tag Office, we know that the right Italian office storage can be part of the decor and keep the same luxury feel. A complete Pioneer – Italian office storage wall could be the perfect way to use a massive surface area that will all but certainly seize the attention of anyone entering your office. Or, if you’re looking for something more minimalistic we all have a range of small bookcases shelves and pedestals, perfect for keeping those offices desks clear. All our storage products are built to the highest level of quality and come in a range of different styles. As such, they can be perfectly matched to any office furniture that you have already chosen. Whether you are looking to make sure that your office furniture blends in or stands out as part of your decor, we have some fantastic options for you to consider. If you’re looking for the perfect space for writing up documents, working on reports or completing any kind of office work, our range of Italian operation desks are the purchase that you need. 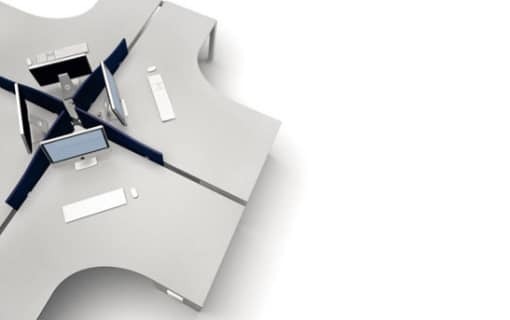 These desks come in a range of sizes and styles so that they can be used for individual employees or a full team. Some of the desks come equipped with full dividing screens to make sure that employees can still complete work solo. Choosing from a range of different styles, you can select desks for your office that have a typical design or something a little more contemporary. Many of our desks are also designed to contrast beautifully with white legs and a gorgeous matte black finish on the work surface area. 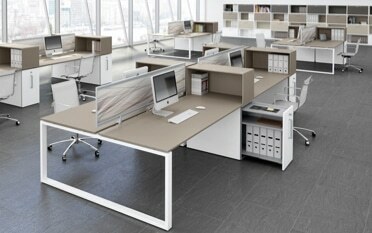 This looks absolutely stunning and will provide a fantastic level of luxury to your office environment. 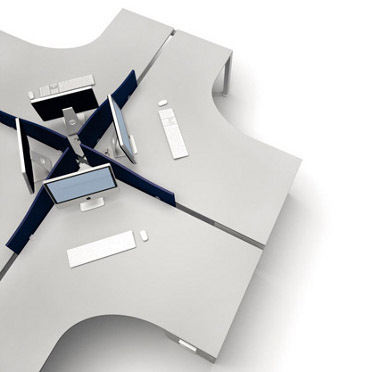 The different shapes available for these desks also suit a range of work preferences. If you want to have multiple screens and work areas a corner desk will be the perfect choice providing different areas of operation. As well as a fantastic level of style, many of the desks found on our full site offer a range of exciting extras including the ability to adjust them to a variety of different heights. As such, you and your employees will be able to work comfortably sitting or standing. 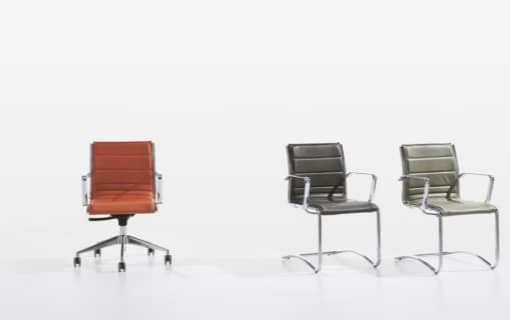 Where Can I View These Exquisite Pieces Of Italian Office Furniture? Our full range of furniture can be found online. Alternatively, if you would like to view the furniture in person, they can be viewed at our manufacturer showrooms in London. Are The Products Ready To Order? You might find that bespoke furniture options take around 4-6 weeks to arrive after the order has been processed. This is due to the fact that we don’t have any stock ready for shipment. However, the majority of the furniture that we provide can be ready within 2-3 weeks. What Are The Different Shapes You Mentioned? You might have noticed that we mentioned our desks come in a variety of different shapes and sizes. When looking on our website, you might not be familiar with the shape names. If you contact a member of our team, they can help you understand these and find the right shape of desk for your office area. Are you interested in learning more? Contact us today on 0203 816 9500 or check out our full collection right now.